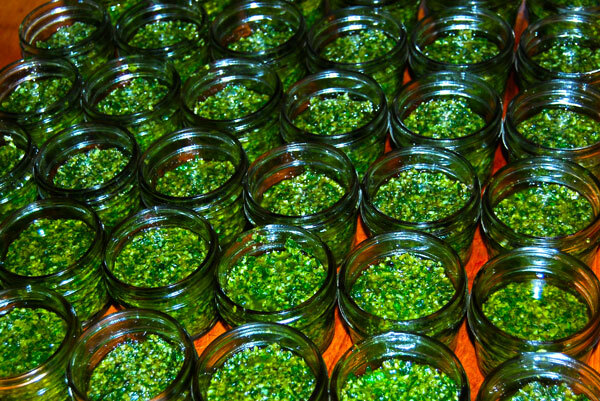 It’s that time of year again… We have an abundance of basil coming out of the garden, so it’s PESTO TIME! I buy a large bag of Parmesan and Walnuts from Costco, and store in the freezer, so I always have some on hand. 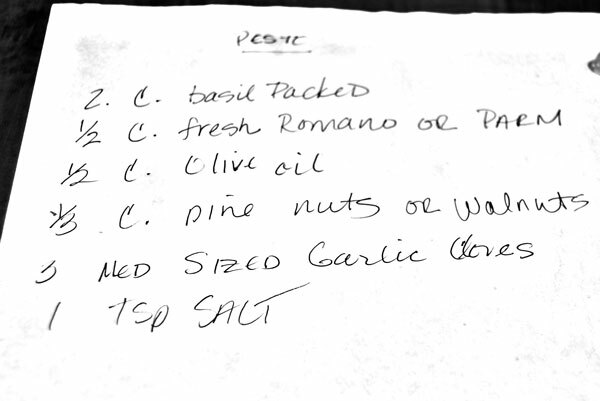 The pesto can be stored in the freezer, and if you make enough, it can last nearly a year. 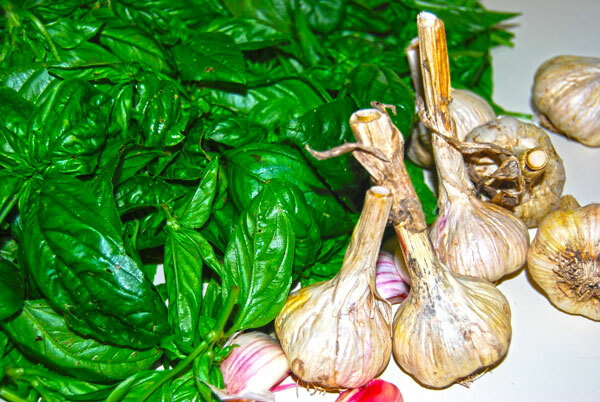 In a food processor, chop the garlic first, then add basil, cheese, walnuts and salt. Pulse a few times just to mix, then gradually begin adding the olive oil. Store in jars, plastic containers, ice cube trays (whatever!). Pour a small bit of olive oil on top which will keep that upper layer nice and green, and pop into the freezer. If you don’t have walnuts, I have substituted pine nuts or pecans. Also, I have stored in paper cups in the freezer, covered with plastic wrap and a rubber band, but they took a little freezer burn after a few months. Basil is my absolute favorite herb. Everything about it, from the color to the scent, the flavor, the meatiness of their texture, they’re so wonderfully intoxicating. I had to raise more than a hundred pots of basil plants for my plant physiology course once. It was one of the best labs ever! Even though some had to be manipulated to “suffer” for lab purposes. They are intoxicating ! I love having clipped basil in the house. 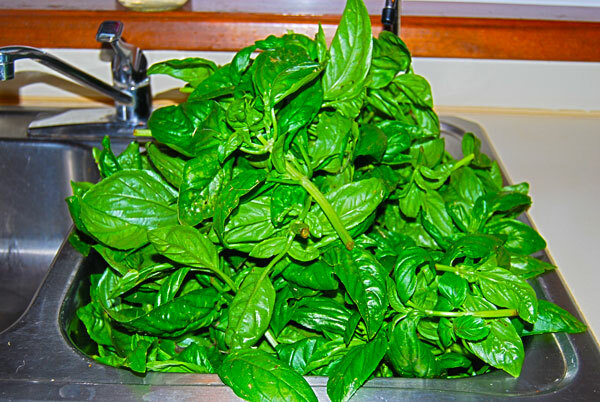 This is exactly what I need…been doing this every season with my abundant basil! This year, I’ll try it with walnuts in place of pinenuts. My favorite freezer technique is ice cubes…they work really well! Thanks Peri! This year we were able to harvest early so will have a second picking sometime soon. YUM. Well, more basil means more pesto and easy weekday meals!